You won't believe how Lijiang is romantic until you walk on its ancient towns' streets, visit the beautiful Lugu Lake and talk with the indigenous Mosuo People on the lakeside, and discorver the unique customs of Naxi People. 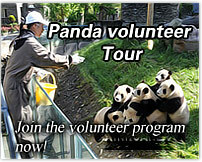 Start from Beijing, Chengdu, Kunming, Dali, Chongqing, Guangzhou, Shenzhen, and etc.. Join this tour now! Be met at the airport and transferred to the hotel. Later visit the Black Dragon Pool Park, Museum of Naxi Dongba Culture and Lijiang Ancient Town. -Black Dragon Pool Park: where you can see the Jade Dragon Snow Mountain from afar and the reflection of the mountain in the pool in a clear day. This park is the source of the water system of the Old Lijiang Town as the clean spring from Jade Dragon Snow Mountain gathers here. In the park, we will also visit a museum about Naxi People's civilization and history. -Lijiang Ancient Town: aka Dayan Old Town, built by Naxi people at over 800 years ago. The town is famous for its scientific architectural layout. The town consists of clean streams flowing freely through the road network, the colorful cobbled streets, swaying willow trees, historical buildings and stone bridges. There are 22 different ethnic minorities making Lijiang their home. Now and then you may see local folks in their own traditional dress. Rambling around this charming ancient town, you will be attracted by the unique atmosphere and surprised by its ancient yet simple sense of "Harmony of Heaven and Man." Today, enjoy a full day tour of Baisha Mural Paintings, Shuhe Old Town, Lion Hill and Mu's Residence. After dinner, enjoy the wonderful night show - Lishui Jinsha. -Baisha Murals: located in Baisha Township, 8km north of Lijiang, there are 53 groups of mural paintings in different temples with fine and smooth lines, bright colors, vivid patterns and harmonious composition. Painted from the early days of the Ming Dynasty (1368-1644) to the early Qing Dynasty (1644-1911), these mural paintings are an artistic representation of the different religious cultures such as Buddhism, Lamaism, Daoism and the Naxi Dongba religion. -Shuhe Old Town: Shuhe, in the Naxi Language, means "the village at the foot of the high mountain". The village is famous for its surrounding sceneries, the vernacular dwellings, the traditional private bandhnu cloth mills and the residents themselves-the Naxi people. In ancient times, the town was one of the important towns along the famous "Tea and Horse Route". -Lishui Jinsha: A wonderful and interesting show performed at Lijiang International Ethnic Cultural Exchang Center. The show displays the Yunnan minorities' music, unique music instruments, dances, traditional costumes, culture and marriage customs. Drive 6.5hrs to the Lugu Lake. Visit the Mosuo families, enjoy Mosuo food. Attend a bonfire party in the evening, dance with the pretty and graceful Mosuo girls. -Mosuo people: a branch of the Naxi people. Mosuo ethnic group keeps the very old customs and has the mystic civilization. Even today, they still live in the matriarchal clan society. They have no marriage, husbands and wives only live together at night. Before dawn, husbands have to leave wives' rooms and go back their mother's homes. Women have the last word in the family. -Lugu Lake: the native place of "The Females' Kingdom" composed of the Mosuo people. This beautiful lake is uncontaminated and encircled with forest and mountains and teeming with all kinds of fishes. Today, you will enjoy boating in the Lugu Lake by the pig-trough boat. The water of the lake is generally clean and green, with different shades of color: turquoise blue, sapphire blue, and white-gray, simply beyond your imagination. Teeming in the lake are all kinds of fishes. Visit the Liwubi Island and the Headman's Island. Drive back to Lijiang in the afternoon.